National Drive Electric Week, sponsored by Plug-In America, the Sierra Club and the Electric Auto Association, is billed as a "national celebration" of electric vehicles. Hundreds of locally organized ride-and-drive events are held throughout the week across the country and overseas. I was in Chicago last month during the last few days of National Drive Electric Week 2017, and stopped by two nearby events to check out the current EV landscape in the Midwest. 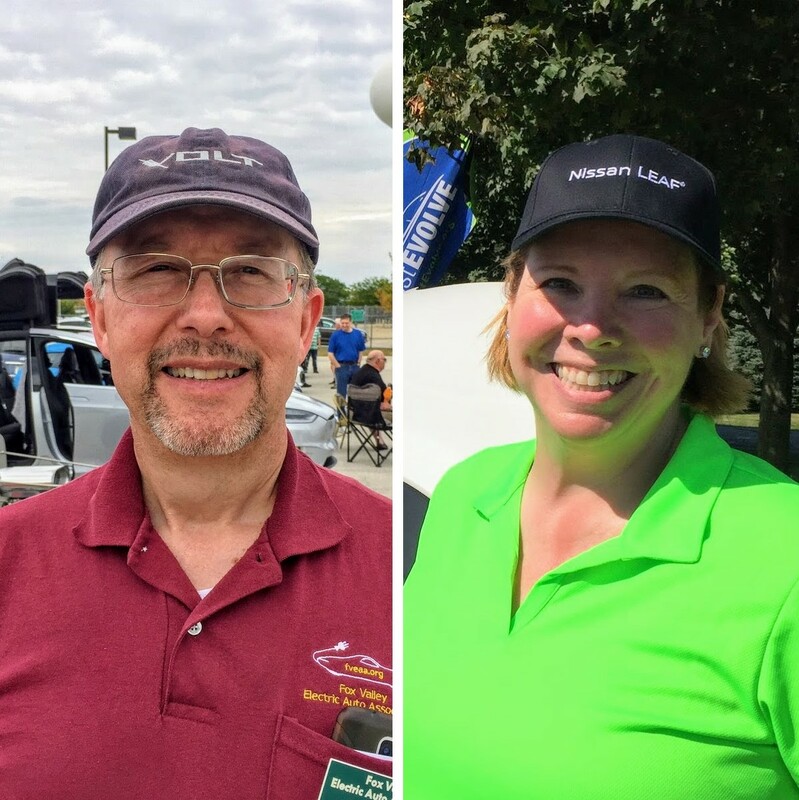 First up in this episode is the Naperville, Illinois event located about 30 miles west of Chicago, where I speak with Bruce Jones, a longtime board member of the Fox Valley Electric Auto Association. Then we head to Portage, Indiana, about 40 miles east of Chicago, where I interview Lauri Keagle, Membership and Program Manager for South Shore Clean Cities. Neither of these interviews were scheduled ahead of time, and I appreciate Bruce and Lauri for being so game when this stranger showed up unannounced with a field recorder and asked to interview them. So with that, we will start right in as I'm interviewing Bruce Jones in Naperville, Illinois, and then cut to my interview with Lauri Keagle in Portage, Indiana. Recorded September 15 and 17, 2017.